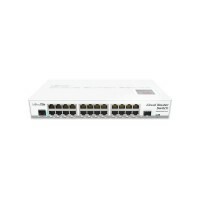 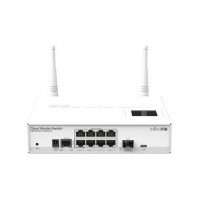 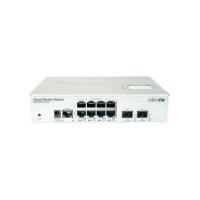 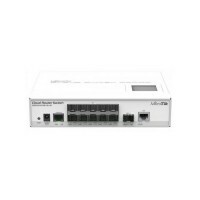 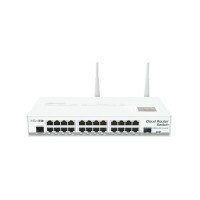 8x Gigabit Smart Switch, 1x SFP cage, LCD, 1000mW 802.11b/g/n Dual Chain wireless, 600MHz CPU, 128MB RAM, Metal desktop case, RouterOS L5, supports 10-57V, 802.3af/at compliant. 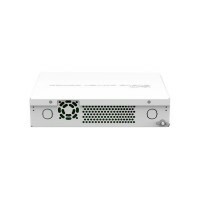 8x Gigabit Ethernet Smart Switch, 4x SFP cages, 400MHz CPU, 128MB RAM, desktop case, RouterOS L5. 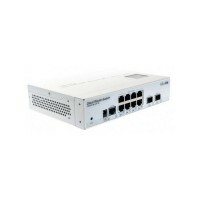 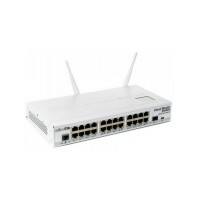 24x Gigabit Ethernet layer 3 Smart Switch, 1x SFP cage, LCD, 1000mW 802.11b/g/n Dual Chain wireless, 600MHz CPU, 128MB RAM, Metal desktop case, RouterOS L5. 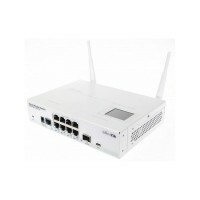 24x Gigabit Ethernet layer 3 Smart Switch, 1x SFP cage, LCD, 600MHz CPU, 128MB RAM, Metal desktop case, RouterOS L5. 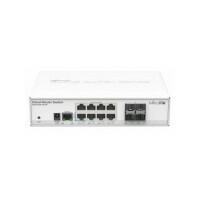 8x Gigabit Smart Switch, 2x SFP+ cages, LCD, 400MHz CPU, 64MB RAM, Metal desktop case, RouterOS L5, supports 10-57V, 802.3af/at. 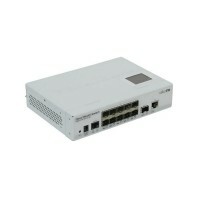 Smart Switch, 1x Gigabit LAN, 10x SFP cages, 1x SFP+ cage, LCD, 400MHz CPU, 64MB RAM, Metal desktop case, RouterOS L5.